This week’s Groundhog Day-inspired episode of The Flash, titled “Cause and XS,” could have been called The Do-Over. 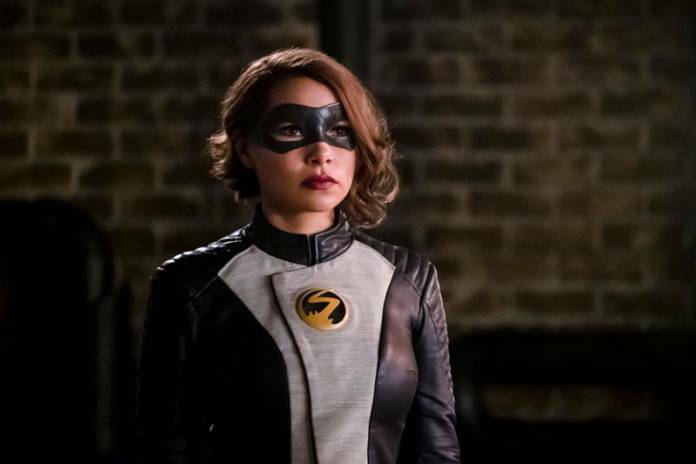 That is precisely what Nora (Jessica Parker Kennedy) and Cisco (Carlos Valdes) got — multiple times — in this timey wimey installment. Nora got to relive watching her loved ones die one-by-one on Cicada’s dagger, and poor Cisco had to endure a nightmare of a first date over and over again as Nora messed with the timeline. What made this time loop interesting were the subtle changes that occurred in the timeline along the way. 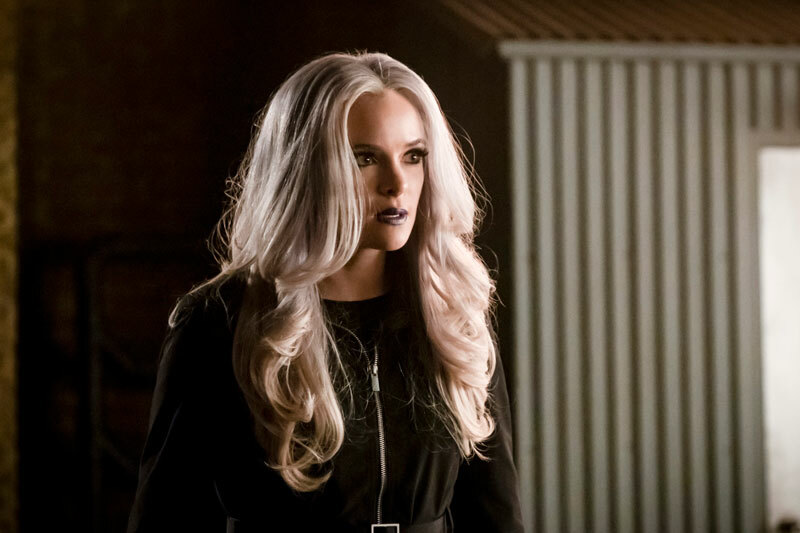 The episode begins with Cisco working alone in Caitlin’s dad’s lab on his meta cure formula. While he waits, he is looking at bartender Kamilla’s (guest star Victoria Park) photography website and sadly feeling not worthy enough to date her. He doesn’t really have time to wallow in his self-pity, however. His cure is just about ready with a slight catch – it will take 29 days for the compound to fully synthesize. Back at S.T.A.R. Labs, Cisco tries to explain the glitch to the team, but in order to stop Cicada, they need this cure to work immediately. Sherloque (Tom Cavanagh) suggests taking the formula into the Speed Force where the tachyons will be able to manipulate the dark matter, thereby reducing the wait time from 29 days to 1 hour. Barry suits up to go into the Speed Force and Nora follows, but he advises her to stay back. The city will need a speedster should any trouble arise while he’s gone, but Nora is not so confident. Barry’s advice is to trust herself, and if things start to go bad, to slow down and think things out. He thinks she will be fine. In the meantime, Cisco has a date with Kamilla. Ralph (Hartley Sawyer) shows up with his dating guide, The Book of Ralph, to help Cisco out in this important step in the recovery of his love life. Unfortunately, all the book does is reinforce Cisco’s self-doubt in thinking that he has to pretend to be someone he is not in order to impress Kamilla. Cisco shows up at the date wearing a suit and pretends to be some kind of high-powered entrepreneur. This persona he is trying on only exasperates Kamilla. While Cisco is trying to impress his date, Iris is back at the paper, trying to get a story out. 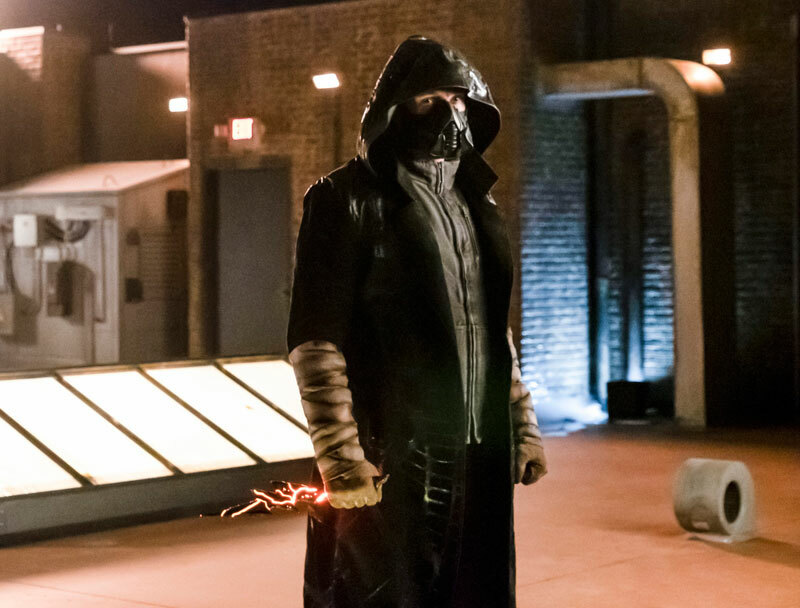 Cicada (Chris Klein) shows up, knocks Iris out, and brings her to the roof to set a trap for Team Flash. 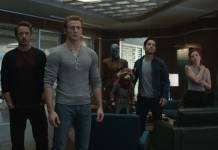 Sure enough, they all get the emergency alert from Iris’s phone – including Cisco. Cisco excuses himself from Kamilla, and realizing the date is going nowhere, asks for a do-over before he leaves. 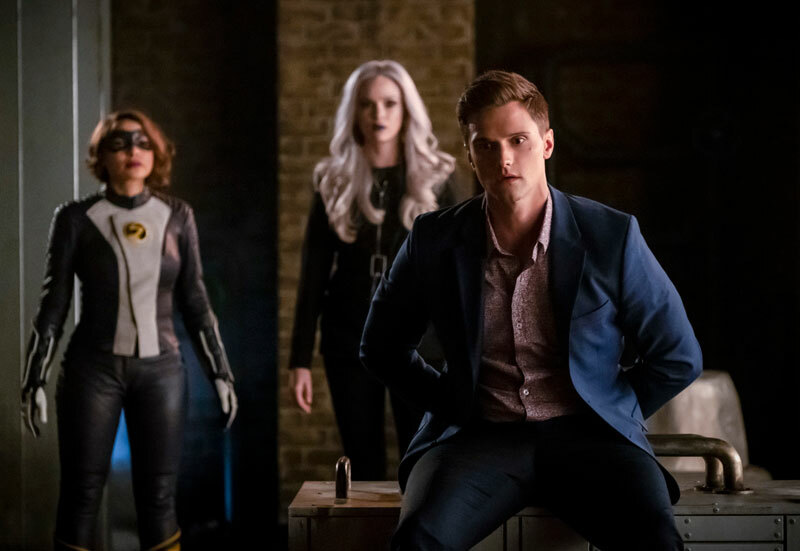 Nora and Killer Frost show up on the roof, but before they can get there, Cicada throws his dagger. They arrive just as the dagger is boomeranging back to Cicada and it stabs Frost in the back. Round three, Sherloque notices Nora’s agitation as she tries to get Iris and Ralph to stay at S.T.A.R. Labs and suspects that she is time traveling. Sherloque goes to the newspaper office instead of Iris and is captured by Cicada and brought to the roof. Cisco again vibes his date before he gets there and goes as another persona: an influencer and social media mogul, which again does not impress Kamilla. This time Cisco shows up on the roof after the emergency alert and is the one to die. Round four, Nora convinces everyone to stay in the lounge at S.T.A.R. Labs, and is clearly agitated. Cicada show up at the newspaper office, sees a picture of Joe, Cecile, and the baby and kidnaps Cecile. Nora goes back in time again, and relives everyone dying over and over again. She cannot seem to run back far enough in time, always turning up in in the lab at the same fixed point. She is stuck in a time loop. By this time, given Sherloque’s suspicions, Nora’s mounting anxiety, and Cisco’s multiple vibes of his date with Kamilla, the team has figured out that Nora has been time traveling and confront her. Nora breaks down in tears, explaining about the multiple times she’s seen them die and frantic because she cannot fix this. It’s time for the weekly heart to heart, but this time it’s between Cisco and Nora. Cisco explains that he has relived his own death before and tells Nora about that time that Eobard Thawne reached into his chest and stopped his heart with his hand. He also explains to her that sometimes we all fail when all we worry about is not failing. Nora realizes that all the times that she has traveled back in time, she has taken notes in her journal and the key to success is written in there. With the whole team, she uses the codes and keys she has written down to come up with a plan to to control the time travel, manipulating time so that it is Cicada who gets stabbed. This time, Iris shows up on the roof, telling Cicada that they will get him. Cisco, Ralph, and Caitlin show up and Nora follows, coordinating one of Vibe’s breaches, a blast of ice by Frost, a thrown punch by Elongated Man, and Nora’s speed so that when Cicada’s thrown dagger appears, it stabs him in the shoulder where he is already injured. Once again, it’s not enough to capture the big bad – Cicada flies off and disappears. Barry shows up with the fully synthesized cure after all is done and everyone is back at the lab. He explains the dangers of time travel to Nora, using the broken cup analogy that Jay Garrick used to explain time travel to him. Cisco does go on his date with Kamilla, as himself this time, which is a great success. One small change in the timeline is easily noticeable. A patron who showed up at Jitters through all of the other date instances has changed from someone named Ian to someone completely different named Steve. There’s no telling how many other changes have happened thanks to Nora. The end of the episode has Sherloque back at his computer, using the notes that Nora took during her time travels to decode the journal and find out her secret. He is getting closer to learning her truth. Nora goes back to year 2049 where Eobard yells at her that he is the only speedster who knows what he is doing. She needs to stick to the plan, stop Cicada, and save Barry. I just can’t help but wonder: what’s in it for him? All in all, I thought “Cause and XS” was fun and thought-provoking with all the possibilities of an altered timeline. It’s great to have the old, smiling Cisco back if only for the duration of Season 5. 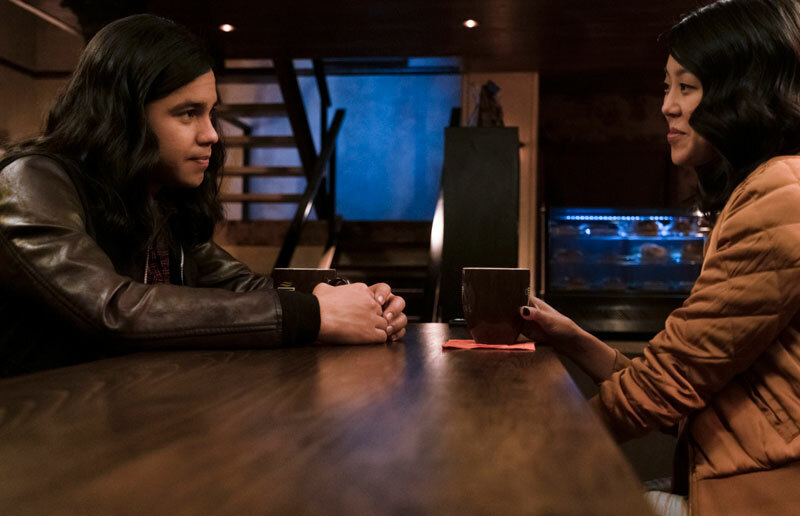 If internet rumors are to be believed, it seems that Carlos Valdes will not be returning for Season 6 of The Flash. It would be a big change and loss for fans of the series since Cisco has been a major character since the beginning. He is the show’s tech guy, the name-er of villains, pop culture reference man, Wells-whisperer, and Vibe. If the rumor is true, I will miss the character and can only wish Carlos well in his future pursuits. Next week’s episode looks like special effects fun – we’ll get a dose of King Shark vs. Gorilla Grodd. Click below for a sneak peek. Next articleThe Frozen 2 Teaser Trailer and Poster Are Here!